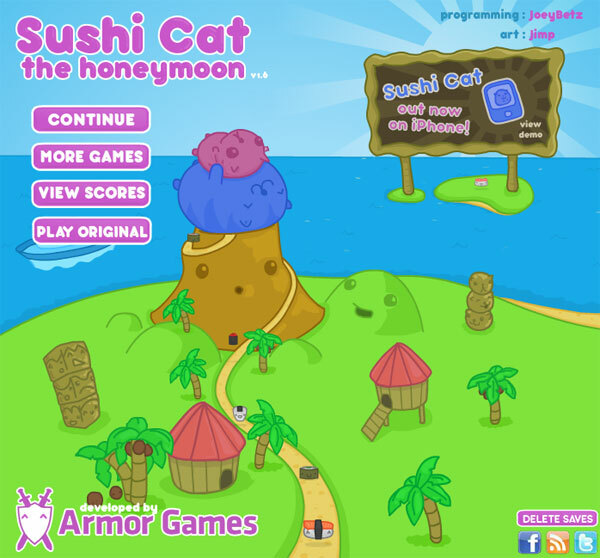 Sushi Cat is a game which belongs to the series of games named Sushi Cat 2. The series is developed by Armor games, a very famous game developer. In the game, you play as a blue cat that is on full moon trip. In the game, many accidents happen in his full moon trip and he has to save all the cats and other animals around him. 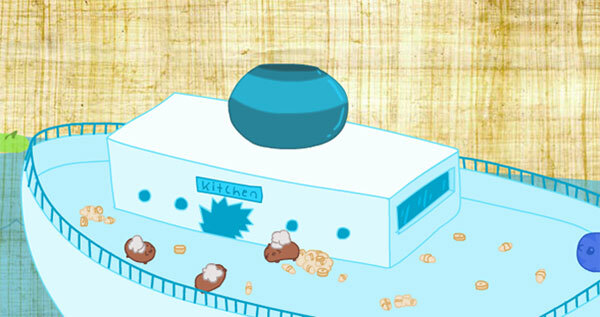 After you click start game Sushi Cat 2, there is a video showing the first accident. The first accident happens on his yacht. The kitchen explodes and the smoke goes out through the chimney. He has to fill the chimney to prevent another explosion. However, he is so small that he can’t fill the chimney. The game starts to make the cat bigger. You will go on levels in which you have to help the cat to eat as much sushi as possible, so that he can becomes fatter. 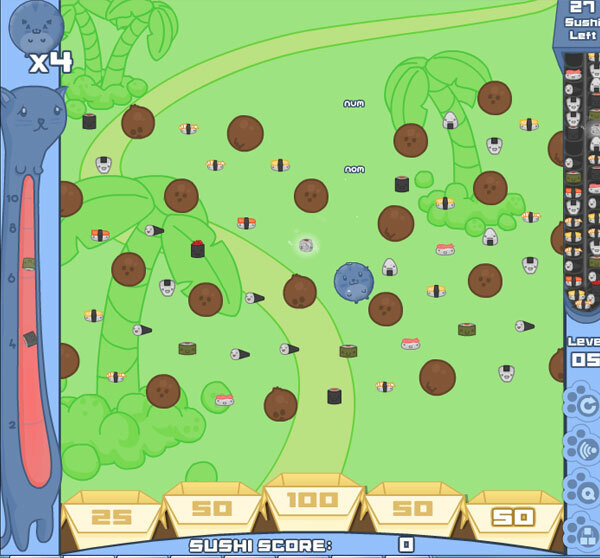 In each level, there is a number of sushi that you have to eat. If you don’t eat enough the sushi, the cat is still hungry and you will have to start again. The first problem is resolved, the cat fall into another problem immediately. He has to become bigger to prevent the huge waves from the sea from hurting the animals on the island in which he and his wife are having the full moon holiday. Five more levels continue till you help him to become big enough. The game continues in that way until you arrive at the forest of the beautiful island. In the forest, there is an active volcano. It seems like it is going to erupt. The cat has to fill the volcano’s crater, so that it can’t erupt and nobody is hurt. This is the most urgent circumstance in the game. As you know, if a volcano erupts, it will cause great damage that you can imagine. Besides, the five last levels is the most difficult levels, because the mission required in all that five levels is the most important and urgent mission. If you pass those last five missions, you can fill the volcano’s crater and then make the dog fill it so that you can play with the animals on the beautiful island. Now, are you ready to save their lives?